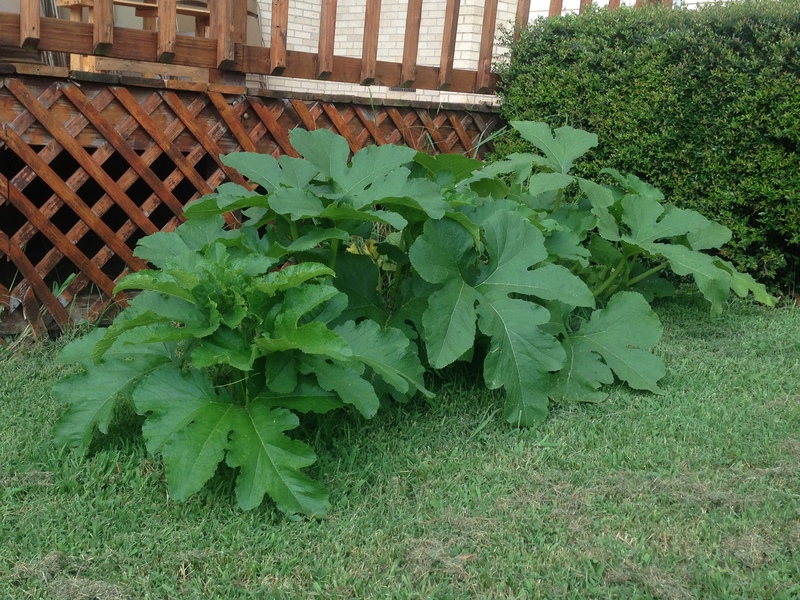 Wesley’s volunteer pumpkin grows where last year’s jack-o-lanterns were discarded. Faced with a problem of gourd disposal last Halloween, my leadership and I decided to do the organic thing. We cleaned up the mess from our jack-o-lantern carvings by dumping eight pumpkins’ worth of slimy seeds into our flower beds to compost over winter. It was no real surprise, then, when students returned to campus last week to find pumpkin vines growing around the deck. The good soil around our buildings coupled with an unusually wet summer created near perfect conditions for the plants to grow. It was a parable right before our eyes. Some fell on good soil, and produced a great harvest. All of which has me wishing that the United Methodist Church counted volunteer pumpkins as “fruit” when it judges our ministry. Or that they would at least apply similar principles to it. To be clear, I am not ashamed when I count at Wesley the kind of “fruits”—attendance figures, budgets, buildings, etc—that my denomination is obsessed with. We have a respectable number of students involved with us, and we make a profound impact on their lives. I can also document the ways in which we reach beyond our walls into service both in our neighborhood and in surrounding regions. But it’s never enough, or so it seems. Regardless of our ministry settings, we UM pastors are constantly harassed to produce more people, more money, more programs. I don’t think that’s unique to clergy, either. “More” is the great American goal, and “production” our great virtue. When I think of the parable of the sower (Matthew 13), however, I can’t help but notice how backwards this compulsion to quantify our efforts is. In the story, a farmer scatters seeds. Some of them grow, many of them do not. At issue is not the skill of the farmer, but the state of the soil. Perhaps the farmer should have been more careful where he planted. But Jesus wasn’t arguing for better demographic research or more strategic planning. He was showing us how the kingdom of God operates. The hypothetical farmer has no control over the harvest. All he can do is drop the seeds where he’s standing. The rest is up the soil. Last year, my wife and I had a tomato plant appear in the flower bed beside our house. It grew from some long forgotten seed that neither of us planted intentionally, but it produced an unexpected harvest that gave us tomatoes into early November. We were not so conceited as to take credit for those tomatoes, any more than my students and I could take credit for the pumpkins at Wesley. Both the tomatoes and the pumpkin vines are volunteer plants. Once we spotted them, we watered them. But we did not cultivate them. They just found good soil, and so they grew. Perhaps this is a good reminder in a world that values results over process, and in a church that follows suit. The credit we can take for any success is usually smaller than we like to believe, and the blame we can ascribe to ourselves or others for failures gets similarly overestimated. The truth is, like Paul writes to the Corinthians, that one plants and another waters and another harvests. But the entire process—including our individual parts in it—belongs ultimately to God. I am glad to see summer go. That may sound strange coming from a campus minister. Many people, including not a few of my clergy colleagues, believe that I get summers off. And they are right—if by “off” they mean a frantic, irregular schedule marked by camps, retreats, fundraising, groundskeeping, building maintenance, and recruiting. Throw in annual conference and a family vacation, and I’ve had about all of the so-called freedom I can take. I don’t believe I’m alone in this. I know there are plenty of other geeks like me who trudge through their summer jobs, pining for the classroom and the chance to learn. And I know there are plenty of socially awkward people like me who crave the kind of defined boundaries for human interaction that the academic setting provides. But I think there’s more to it still. American summers send us into a hyperawareness of how quickly time moves. We realize how much we want to do and how little time we have to do it in, and so we pack the longer daylight hours with as much “life” as we can. Only it’s an illusion. We may have more daylight in the summer, but we still have only 24 hours. We may have more flexibility with our schedules, but that doesn’t necessarily translate into more freedom. No wonder so many involved in education dread the start of school. We are exhausted from summer hysteria, like sprinters chasing a retreating finish line. The thought of how much work classes require makes us want to crawl under our desks and eat glue. For me, however, I know that the start of school signals a return to normalcy, the crazy hours of Wesley’s Welcome Week notwithstanding. By mid-September, I will be back in a rhythm of working and eating and sleeping and praying. I will be more disciplined in my writing and more at ease in my relationships. Even baseball will lose some of its power over me, drained by the perspective that comes with living my own life again. We humans need the recreation that summers afford, but we need it in much smaller doses than we think. More than the perfect vacation or the best camp ever, we need rhythms of work and rest, strain and sleep, accomplishment and release. For my family at least, the return of routine makes these rhythms much more possible. So welcome, fall semester! God, but I’m glad to see you arrive. Last week, I was scheduled to help a friend move into her new apartment across town. I had my GPS app pulled up to guide me, and mentally checked out until I heard the voice commands. I did—off the main road and through the open iron gates, into a grassy field dotted by shiny, flat headstones. I stopped and looked for a sign. Sure enough, built into one of the yellow brick entrance columns was a plaque. Jonesboro Cemetery. That in itself seemed funny enough. Just another comical failure in technology, akin to autocorrect snafus. But when I started to loop back around toward the exit, my GPS spoke again. I laughed it off then, and I still think it’s funny now. But there’s some truth in it I’m not so comfortable with. The fact is, my GPS is right. I might not be buried in Jonesboro, but somewhere down the line, my life will end and I’ll either be lowered into or scattered on top of the earth. Ashes to ashes and so forth. Thus began several days of meditation on death, fed by a slew of outside information. A colleague announced that he has terminal cancer. Two members of our church died. Even the book I’m reading—ironically entitled The Living, by Annie Dillard—opened with the accidental death of a child and proceeded to kill off dozens of characters in the first hundred pages. In words frighteningly metaphorical, I could not get away from death. All of this sounds morbid, I admit, and I suppose there is some truth in that judgment. I don’t want to consider dying, nor do I want to think about people close to me dying either. If our destination is death, I’m in no hurry to arrive. The upside of these thoughts, however, is that it casts life in sharp relief. If I have a limited number of years, what do I want to accomplish? What do I want other people to say about me? How do I want to be remembered? Beyond that. How can I enhance the lives of others? What can I do to make sure that life for others is better because I’m in it? Is there a way to live that makes a better life possible for everybody, even people I may never meet? I’m not very good at answering these questions. To tell the truth, the more wrapped up in them I become, the more cranky and withdrawn I get. So I recognize that there needs to be some balance between thinking about life/death and actually living life. Enough people in my profession already live in the philosophical rather than the tangible, and it’s no good for anybody if I become one of them. But the question remains. If I will someday die and be carried away—my body returned to earth and the rest of me to heaven—what do I want to leave behind? What path will be the most joyful on the way to that destination?